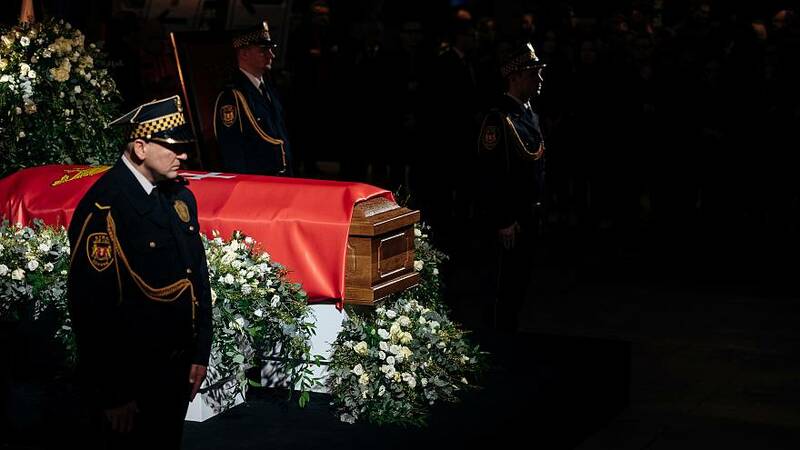 Poland is in national mourning after the death of the popular liberal mayor, Pawel Adamowicz. Hundreds gathered in Gdansk to pay their respects to Pawel Adamovicz, as his body lies in state at the European Solidarity Centre. He will be taken to St Mary's Basilica this afternoon for the funeral mass on Saturday. Police say as many as 2,500 people queued in the freezing wind to pay their respects. Adamowicz died in hospital after he was stabbed by a man on stage during a charity event last Sunday. A 27-year-old former convict has been arrested in connection with the murder.